Lots of us enjoy having a drink with our friends. Whether it’s a glass of red with the girls, or a beer at the family barbeque, once we start, it can be difficult to stop. Your age, physicality, gender and any medication you take all affect how you react to alcohol. This is why some people can ‘hold their liquor’ after three beers, and others become tipsy after one. 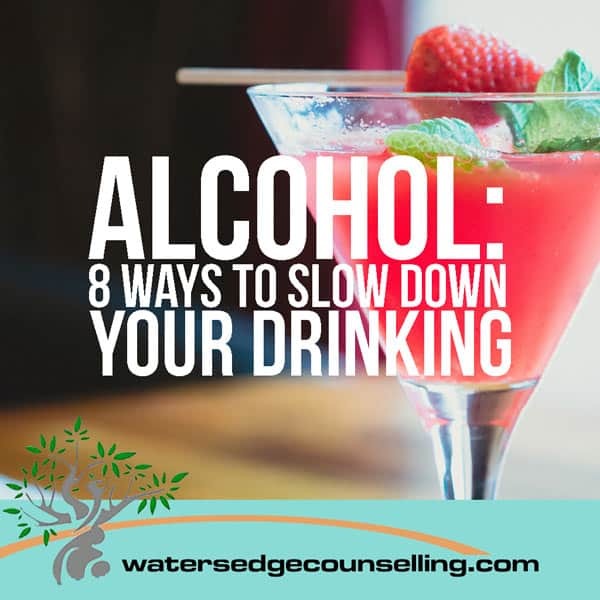 It’s always an option to remain sober, but if you’d like a drink, try these steps to slow-down your alcohol intake at parties. When you arrive, don’t jump the gun and go for the liquor. Take it easy and start with a fizzy drink. It will curb your thirst and you will keep your head as the night progresses. A full stomach slows the effects of alcohol. Make sure you eat a good meal at the start of the night, and stay well fed on snacks and appetisers while you are drinking. Avoid salty foods that will make you thirstier. Drink a glass of water between your alcoholic beverages. This will re-hydrate your system, slow your drinking down and make you full. Don’t assume that your glass of wine is one standard serving of alcohol (10mg). The type of alcohol, size of a glass and the liberty of the server means you can consume more alcohol than planned very quickly. Check the alcohol content on the bottle or ask the server if you are unsure. A few shouts into the night, a top-up here or there, and you loose track of how much alcohol you’ve drunk. Politely say ‘no’ to these gestures and stick to the Australian Government’s recommendation of two standard drinks a day. Choose a ‘light’ option, or a less concentrated drink. Avoid spirits that are poured into soft drink without being measured. Before your first beer, plan how much you will drink over the night. Use this to pace yourself over each hour, taking sips and drinking non-alcoholic beverages to fill out the time. You are in control over what you drink. Don’t feel compelled to get blind-drunk because your colleagues do, or go for harder alternatives at their insistence. Stick to your plan and focus on socialising rather than drinking alcohol. Are you drinking too much alcohol? Do you wake up with regrets after a big night? Then here’s what you need to do: contact Colleen on 0434 337 245 or Duncan on 0434 331 243 for a FREE 10-minute phone consultation on how we can best help you, or press book now to book on the online diary. Are you doing Dry July? Sign up FREE for our 30 Day Challenge and we’ll help you stay sober with a new tip every day for a month!